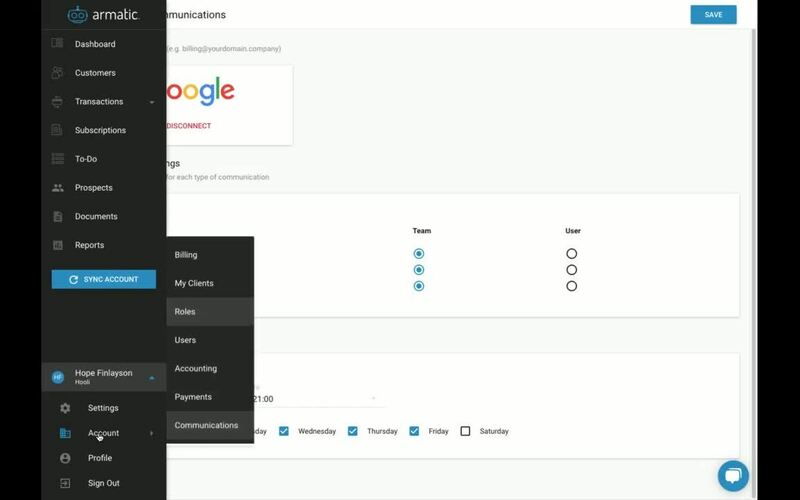 Armatic connects to a "team" email (accounting@) as well as each user's email. Connected email accounts are used to send automated payment reminders (Cadences), one-time user email as well as system notifications. All emails sent to/from a connected account to/from a customer is automatically, tracked and logged in Armatic. For now, you can set all preferences to "Team"